Since I started text formatting services a few years ago, the question I get asked most is what is the difference between Smashwords and Amazon and do I really need to publish on both? Estimates vary from person to person but generally it’s safe to assume that, at the present time in the USA, Apple’s eBook market share is approximately 15%, Amazon’s is 50% and Barnes & Noble is 20% . Keep control. Make changes to your book at any time. Distribute globally. Publish once and reach readers worldwide. Get to market fast. Publishing takes less than 5 minutes. Your book appears on Amazon within 24 hours. Earn 70% royalty. Available to customers in the US, Canada, UK, Germany, India, France, Italy, Spain, Japan, Brazil, and more. Multiple languages. Publish in English, German, French, Spanish, Portuguese, Italian, and Japanese. Publish to Kindle platform. Make your book available on Kindle devices and on free Kindle apps. So are these benefits all worth it for reaching only half of your target market? Amazon undoubtedly still dominates the market for self-publishing and eBooks, but that does not necessarily make it the best and only option. So let’ s assume you decide to publish on both Amazon (without KDP Select) and Smashwords premium catalog at the same time. What are the differences? Formatting is honestly a nightmare on Smashwords. Harsh words, but unless you are familiar with line breaks, the differences between page layout and eBook page layouts, font sizes, and paragraph returns, then it’s not going to be easy for you to get your eBook on the Smashwords Premium Catalog without going through a lot of frustration and time. 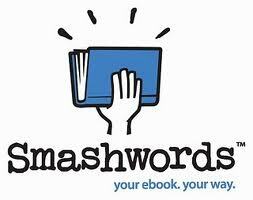 Smashwords provides a free 36 page guide that has to be followed to the letter or your Microsoft Word file will not be converted by Smashword’s software converter into the files for the different e-readers. Because Smashwords converts your file to several e-formats, it’s not easy to preview them to see if there any mistakes, and the changes Smashwords requests are often late in arriving and hard to understand. Amazon’s rules, however, are much simpler and easier to follow. 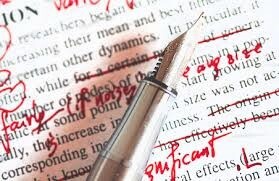 Authors make far fewer mistakes initially and hence go through the conversion process far quicker. In addition, the preview mechanism is excellent. Authors can see their mistakes immediately, correct them on their word file, and then upload it again in just a couple of minutes. When you upload your book to Amazon, it becomes available on the market within hours. However, conversion times for Smashwords and its premium catalog vary enormously and are extremely unreliable. Anything from 5 to 30 hours depending on internet traffic and the time of the day. Some report even longer times. Even when you are approved for the Premium catalog, the problems aren’t over. (a) your book has to go through the famous Apple certification. There seems to be no logic in what gets approved, it seems to be more about who is sitting down that day to examine your eBook. (b) Different delays caused by individual retailer certifications and backlogs means insecure waiting times. Also, this makes it harder to predict when your eBook will go on sale and makes it harder to implement sales targets. (c) Human error becomes more likely with wrong prices and wrong genres, which in turn are harder to spot. (d) The time taken for a correction you have made can take weeks to update on the retailer’s sites. Neither Smashwords nor Amazon charge to self-publish electronically. Instead they make their money on the sales of eBooks. Authors’ commissions from Smashwords differ between platforms, but are mostly in the region of 60%. Selling on Smashwords’ own website pays its writers a flat royalty fee of 85% of net sales (after the transaction fee), but if you are expecting to make any significant sales here, think again. Transaction fees charged by the retailers can include payment processing fees, affiliate fees, retailer discounts, costs for erroneous transactions, credit charge-backs, and other associated fees. Amazon authors receive between 35% and 70% of sales for most eBooks (it’s based on price, location, and tax status). Remember we are not talking KDP here but sometimes you have to sweeten the deal to make a sale, offering discounts and even free copies to spread word of mouth and yet Amazon does not allow its writers to offer discounts or free copies. There is a Kindle gift system in place, but you have to pay for your own content. However, you can offer any kind of discount that you choose through Smashwords which is useful if you want to provide review copies, give gifts to family and friends, or encourage more sales through a limited promotion. With amazon all the reviews are in one place, on one site rather than scattered all over the place as they are on many different retailer web sites. Obviously looking at all the points above, it seems that Amazon is easily the better option. But the eBook market place is changing everyday and my advice is definitely to have your fingers in as many pies as possible in preparation for the changes. I personally cannot bring myself to be limited to half the potential market simply because it’s harder to reach the other 50%. Next Post Authors: Do you prefer writing Narration or Dialogue? Why??? Amazon is so much entirely easier than Smashwords, and the exclusivity clause is for only 90 days. Why wouldn’t you release on Amazon then subsequently Smashwords? Oh dear, reading this has made me nervous cus my publisher at Imajinbooks put my debut novel “White Heaven Women” on Smashwords this week. I didn’t do very well for sales over on Amazon, so if its worse at Smashwords then I might as well quit now. 😦 I do trust I.B., so time will tell its own tale. I’m sure they know what they are doing! 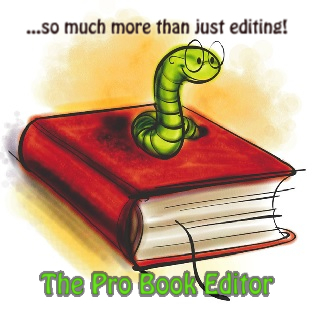 This post isn’t about sales or book quality ; it’s about formatting! Saying your book didn’t sell very well on amazon has nothing to do with formatting unless it is formatted so badly that customers are unable to read it properly? well thats certainly another option but i am not sure many people agree with your view that 90 days (or 3 months) isn’t a long time! This article paints an inaccurate picture of Smashwords. Sure, a few years ago, conversions could take an excruciating amount of time. They fixed it a long time ago. Have you tried them at any time over the last 18 months? The conversions are near-instant, as you watch, and the book goes for sale immediately. I doubt anyone gets a book for sale faster. If you read their Style Guide, the formatting is not difficult. They have stricter formatting requirements than anyone (which is why a lot of authors complain), but the result is you get a more professionally formatted book if you follow their instructions. Although you’ve got a lot of helpful information here, the premise is off. This is not an either/or consideration. Smart indies are using both services. Amazon because they’re the largest retailer, and Smashwords because they make it easy to reach all the other retailers, especially Apple, as well as smaller retailers you can’t reach any other way. The smashwords retail store, while small and not very pretty, still helps you get sales you wouldn’t get anywhere else. Why turn away customers? hi indieauthor, sorry for the slow reply. Will try to answer as much as I can ; I estimate I have used Smashwords aprroximately 1500 times in the last 18 months! I think you maybe confused over the difference between publishing on smashwords.com and getting premium status. For example, you say conversions are near instant and book is on sale immediately. This is certainly true for selling on smashwords.com sure , but not for premium status, at least not in my experience. The quickest time I’ve had was 2 hours and the slowest was 18 hours : both times , the books in question passed the premium certification? You say the formatting is not difficult? Well sure, I personally agree with you but not everyone has the time to read 80 pages of the guide. Also a lot of people dont find this easy at all … they struggle to get a grip on any of this formatting lark just as some people struggle to get their computer or tablet to connect to the internet. Also, even if you manage to follow the formatting guide, I don’t agree that you get a more professionally formatted book. The process has a long way to go before it reaches that point. And finally, I don’t dislike smashwords, I think it does a great service but I felt customers should be aware of the drawbacks (my opinions of course). Thanks for this article. I found it very helpful and to the point. I have yet to publish but am getting close and this is info that I need to consider. Roger, thanks so much for this insightful, tremendously helpful discussion. I found myself nodding my head affirmatively all the way through. Alas, Joel Friedlander talks about “paralysis through analysis” when being confronted with all the options and decisions, and that is really how I am starting to feel, after several weeks of exhaustive research. My problem is my novel has things which do NOT AT ALL lend itself to easy formatting OR flying off the cybernetic shelf. First, it’s loooong; I am separating it into three different books, which I have generally heard is a GOOD thing in terms of marketability for a first-time author, but I still have a couple more books to write before it is finished (yes, insert groan here). Second, it is in the “genre” of literary historical fiction. Third, it has several asemic or projective images of type set in different, strange ways and about 10 full-color photographs. There are a few passages of 2-3 pages in length where there are two alternating texts and each line is one of the texts. This was easy to do in Word but from everything I’ve heard about the “pageless” (and, hence, “lineless”) properties of the ebook I don’t know if it is even possible either on Amazon or with the Smashwords Meatgrinder. I have no money, and the little I do have will go to an editor. Obviously, a self-published ebook is the way to go, and I do believe at least a part of the reading public may find my work exciting. And the computer is truly the best medium for it, but the limitations are daunting. I can’t even figure out whether I should do it in 8-1/2 x 11 or paperback size. Do you think such a work can be formatted within Amazon and/or Smashwords, or am I trying to sculpt marble with a plastic spork? You feedback would be most welcome. Thank you! Patrick, my advice to you would be to set up an amazon account and experiment with a chapter of your book, seeing what happens when you use photos and different types of text. Of course, you should NOT press “publish” but upload the chapter file and then preview it using amazons preview tool. Learn that way ( if you have the time ) how basic formatting works. Oh! Completely brilliant, and I would never have thought of that. Thanks for the prompt reply too. I’ll have to give that a go. I’ve just published my ebook: Eat sugar and lose fat, through smashwords. The formatting was a nightmare. I went on fiverr.com and for $5 got someone to format the whole book (9100) words. Hope that helps. It passed the formatting great! I tried, but took me way too long and in the end for $5, well worth the hassel. I’ve never read anywhere anyone ever mentioning that Amazon while being the market leader only delivers one format of your ebook compared to the the 9 formats Smashwords can deliver. Now isn’t this a huge issue?? Doesn’t this limit sales or is the kindle reader more popular than any other device?? smashwords offers many different formats on its own website (eg pdf , online , text, epub etc) but the meat grinder software converts the document into all the required formats needed to appear on the other retailer stores. This is why passing the meatgrinder test is more difficult. Its this difficulty that is the issue and nothing else. it doesnt limit sales at all, it means your ebook is available in more places. but, yes, kindle rules at the moment . I’m formatted for Smashwords, but some of my photographs wind up too small while others are the right size for the published page. I have lots of photographs, so this is a major issue. All photos appear to be the same digital size when I start out. Any advice? My advice is to go to smashwords web site and download their free formatting guide. Given these differences, with the thousands of books being self-published nowadays. I think an author should consider Amazon and Smashwords. Having a wide distribution channel would really help. It’s all incredibly complicated to me . . . and I’ve worked with computers and word processig for over 27 years — I’m 77. I ended up paying to have it formatted with EBOOKLAUNCH, and Smashwords still demanded modifications 8 times. So I gave up and submitted it to Amazon. Even then I ended up a cover with my full name Robert and a title page with my preferred name “bob” — this was because Smash words wouldn’t accept “bob” in small type. When I went in and changed the cover to Bob on Amazon, they somehow changed the title page to Robert. But they accepted it for publication and put it on their Kindle Bookstore site. I just bought a copy from the Amazon Publication (I thought) to see what it looked like in full and received the eBook copy from Smashwords not Amazon. It seems “demanding modification” doesn’t mean they haven’t accepted it; just that they haven’t accepted it for their “Premier Catalogue.” On the up side, the copy they sent me is formatted perfectly with my name the same on both the cover and the title page, unlike the Amazon version. This whole thing has had my stomach in an uproar for two weeks now. And I guess I’m signed with Smashwords, where I doubt that anyone will ever come across it unless they know exactly what they’re are looking for in advance. I should have left it in the drawer where’s it’s been for the past 25 or 30 years. No, you definitely should not have left it in the drawer! Good luck to you with the book sales. Amazon, as far as getting your title listed, is the easier option. It has many benefits, as mentioned in the post. I’ve found it easier to upload to Smahwords on every format but .mobi (Amazon). I then just go to my KDP account and upload it there. This article really helped me when I was researching Amazon and Smashwords. I agree that Amazon is easier and has a lot of benefits, but I’m with you on using both. Interesting To Know . . .
Amazon’s 70% rate doesn’t require you to limit sales to particular countries. The rate merely applies exclusively to sales in certain countries. If you choose the 70% rate, you’ll get the 70% rate in countries that offer it, and you’ll automatically get the 35% rate in countries that don’t offer the higher rate. In fact, to qualify for the 70% rate, Amazon requires that you offer it in *all* countries where you have the rights to offer it, though I’m not sure how strict they are about checking that. SMashwords won’t accept DOCX format – the 2010 MS Word format (or newer, I assume). It really is sucking for me to try to convert it to the earlier format, because MS Word is saving the 97-2003 format as a dot file for some damn reason. Getting frustrated and ready to give up on SM – it kind of sux compared to AMZN. Amazon does pay indies “royalties.” Amazon charges a 30% downloading fee which is counted as an operating expense by the taxman and the courts. After you have paid that very high fee, the author is left with all overhead and expenses that are part of marketing and selling a book. For international sales, Amazon charges an outrageous 65% operating charge. 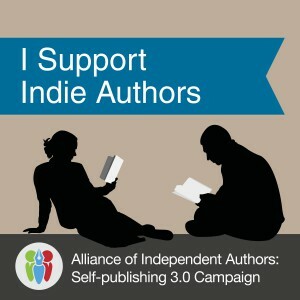 Nice article on the differences between publishing on Amazon and Smashwords. From my POV this article is biased against Smashwords. Amazon only publishes your book in the Kindle (Mobi) format and distributes it to different eBook sellers. Smashwords only distributes the ePub format of your book to different sellers but makes available other formats for the different e-readers, on their site. If your book is formatted correctly and passes the Amazon publishing process then chances are that it will also pass the Smashwords meatgrinder. The only caveat to this is that your file must be in accordance with the free Smashwords Style guide to pass the ePub checklist. If the ePub fails then Smashwords sends a message and tells you exactly what didn’t pass. The answers are in the Style Guide. BTW, this Style guide has the information on how to make a Table of Contents (TOC). The same TOC will pass Amazons book publishing process. Some of the comments above relate to the different times it takes for Smashwords to approve status for your book in their Premium Catalog. With millions of eBooks being published every year I don’t mind waiting a few hours or days for Premium status because now your eBook can be sent to Libraries for purchase consideration. BTW, even as you wait for Premium status, your book is already published on Smashwords; just not approved yet for distribution to Libraries.